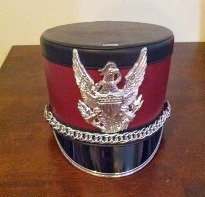 Any Item# that starts with '0110' can be purchased in single or smaller lots. 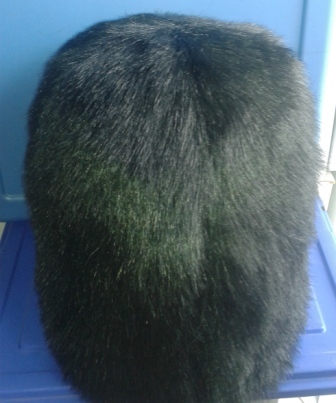 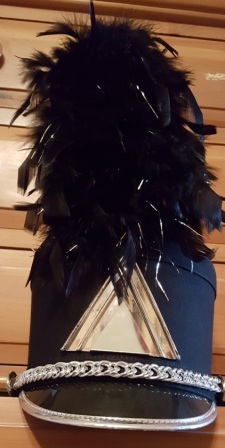 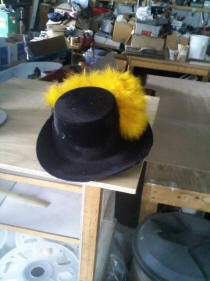 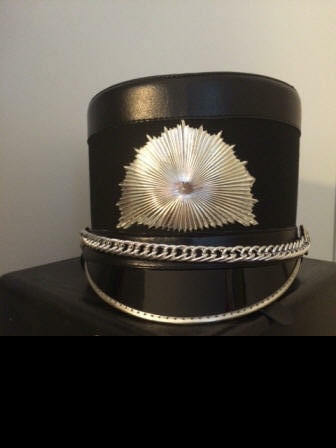 Set of 40 black Busby style hats. 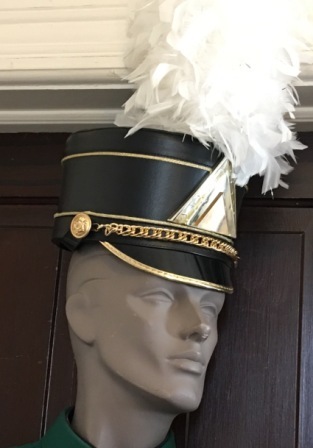 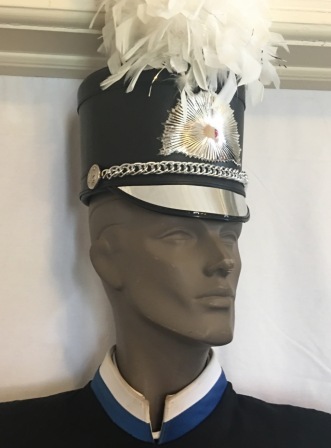 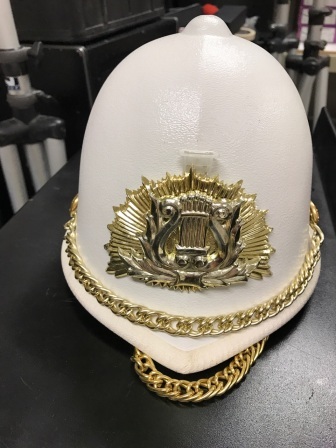 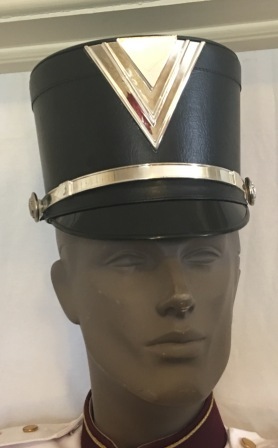 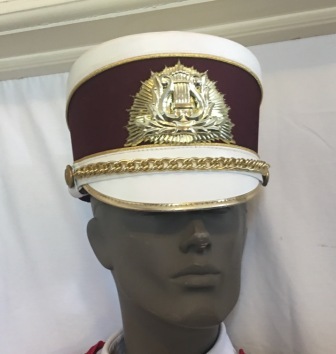 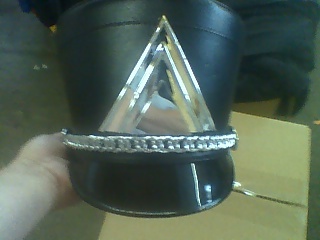 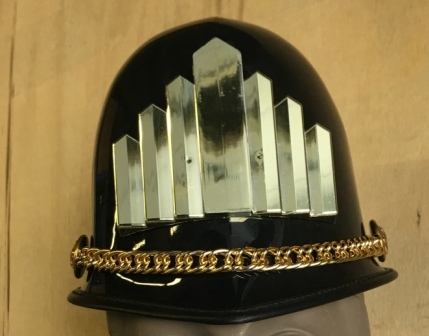 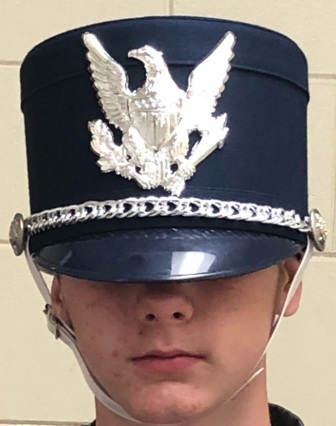 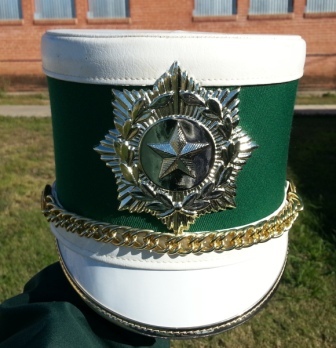 Set of 240+/- marching band shakos. 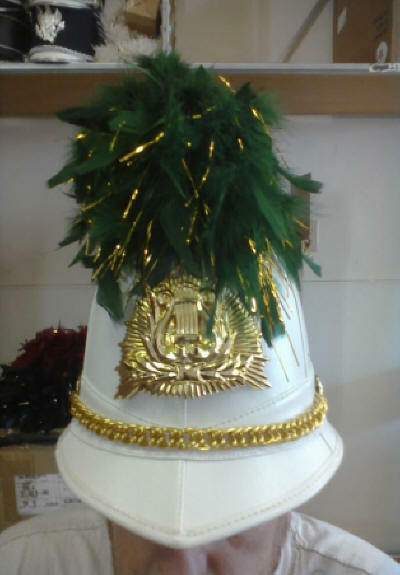 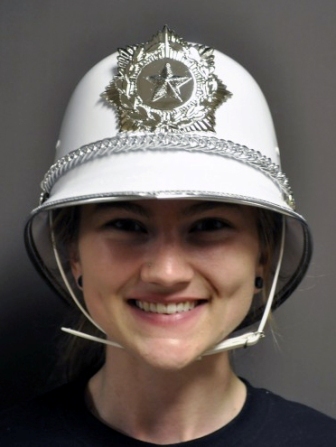 Gold hard plastic marching band helmets with gold starburst and gold hardware. 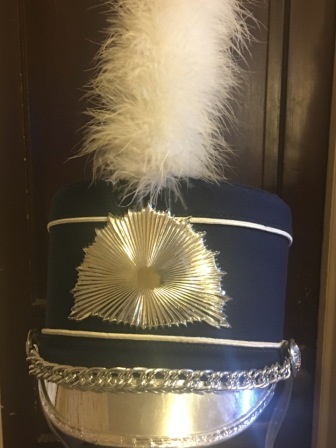 120 White Helmets with Silver Trim. 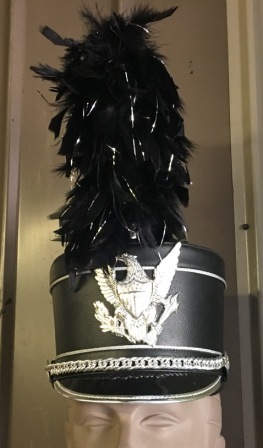 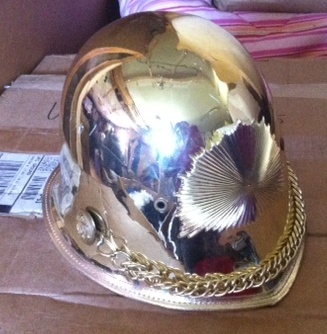 This is a set of 160+/- black helmet plumes with gold mylar in good to excellent condition SOLD! 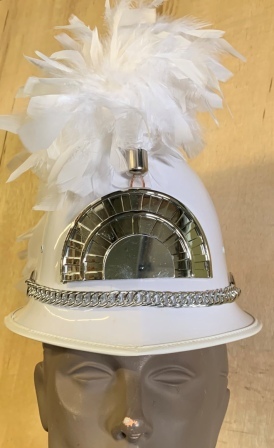 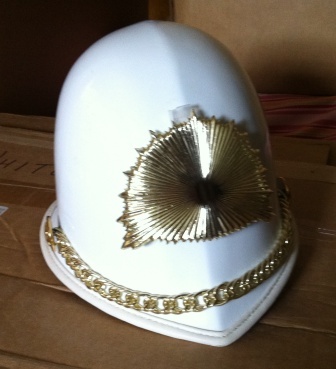 This is a set of 160+/- white helmet plumes with gold mylar in good to excellent condition SOLD!